The traditional age and content ratings may not be sufficient for virtual reality games. Virtual reality is promising to be more than just an evolution of the gaming medium- it promises to be an entirely new medium altogether, a new format, a new way to consume content, that will stand side by side with books, movies, music, TV, and yes, video games. As such, none of the old methodologies to assess content will work for virtual reality games, Sony Worldwide Studios’ Shuhei Yoshida, and an evangelist for the rise of VR, said recently- VR may require an entirely new ratings system altogether. “[VR is] pretty much giving you an experience with other people that you’d otherwise not have,” he said in an interview with Digital Spy. “If you are lucky, you won’t have experienced getting a gun pointed at your head–it’s scary, right? But that can be created easily in VR. It is intense. In one of our demos, you get yourself stabbed, and it’s powerful. That said, it does go both ways, too- if VR can be affecting, it doesn’t have to be affecting in a traumatizing way. Developers can create experiences that let people empathize with others in ways hitherto unknown- something that many of them are already doing, Yoshida noted. “There are people around the world not as fortunate as us, but using virtual reality we can let people experience what it’s like to be abused, or live in poverty. We hope this will contribute to decision-makers making some good decisions,” he said. 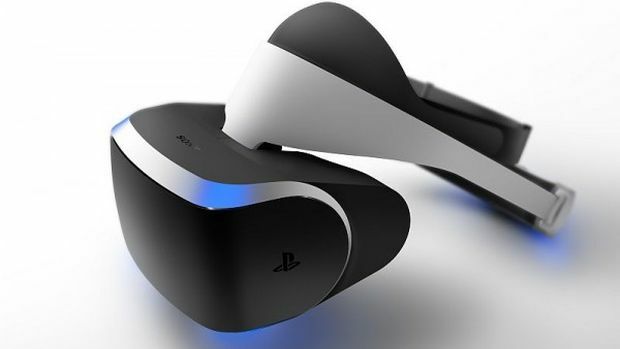 The PlayStation VR is due to launch some time in 2016.